I have over four years of experience teaching math and three years of experience tutoring math. I have a Math degree from the University of Rochester and a Computer Science degree from the University of Arizona. I was a Math TA for 2.5 years at Rochester, including two years of Calculus. At Ohio State, I was also a Math TA and tutor for two years. 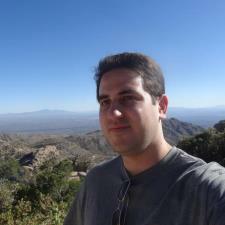 I was a TA for two years at Arizona for various theoretical computer science courses. I have experience working with students with a variety of backgrounds. Whether you want short-term or long-term help, I can help you become more confident with the material. When working with a student, I first try to determine what the student knows so I can tailor my efforts to that student and make the tutoring sessions more efficient. I also like to construct problems specifically to target areas of difficulty for my students instead of just using problems from various textbooks. I try to keep my students as engaged in the material as possible so they can become confident in doing problems themselves -- after all, I believe the best way to learn math is by doing problems. Classes I have taught include Calculus I, II, and III; Business Calculus; Calculus for Engineers; Cryptography; Data Structures, Algorithms, and Automata Theory. I am also very knowledgeable in Discrete Math and Linear Algebra. Feel free to contact me and let me know what topics you're struggling with; I hope to have the opportunity to help you succeed! I have taught calculus for four years -- two years at the University of Rochester, and two years at Ohio State. This also included tutoring calculus for two years at Ohio State. I have taught Calculus I, II, and III; Business Calculus; and Calculus for Engineers. I have a B.S. in Mathematics. I took Discrete Math my freshman year of college. I also took Transition to Higher Math in my sophomore year, which covered many of the same topics (logic, set theory, graph theory, combinatorics, and so on). Beyond that, these topics came up many times in other courses such as topology and abstract algebra. I have also taken courses in Computer Science, which reinforced the areas of Discrete Math on algorithms and asymptotic analysis. I took Discrete Math my freshman year of college. I also took Transition to Higher Math in my sophomore year, which covered many of the same topics (logic, set theory, graph theory, combinatorics, and so on). I've also taken linear algebra, and studied topics such as linear programming in my algorithms coursework. I could not understand derivatives to save my life. After a 2 hour tutor session with Aaron, I blew threw the homework I had to do for my Calc class and actually understood what I was doing!